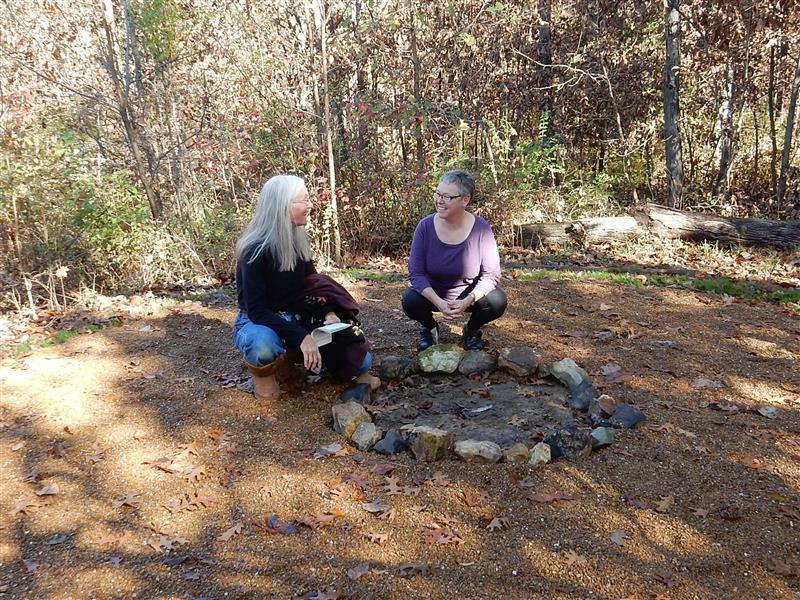 Carol Arnold, left, and Ellen Thomas checked out the new fire circle on Nov. 1, 2015. Substituting in February 2019 for the usual Mindfulness Meditation sessions, “Meditation Basics” will be offered from 10:05 to 10:50 a.m. on Sundays – Feb. 3, 10, 17 and 24. The sessions, to be held in the Centering Room or the Schweitzer classroom, will allow participants to discuss and practice the basic elements of mindfulness meditation. Facilitated by Peter Holmes, Ph.D., the sessions will be suitable for complete beginners as well as experienced meditators. 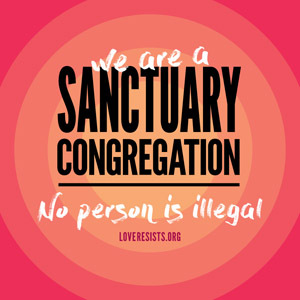 It is not necessary to attend all four sessions. Mindfulness Meditation takes place from 10:05 to 10:45 a.m. every Sunday in the Centering Room or the Schweitzer classroom – or, if the weather is suitable, outside around the Fire Circle. Meditators of all levels of experience are welcome. The meditation is usually split into two 15 minute sections. 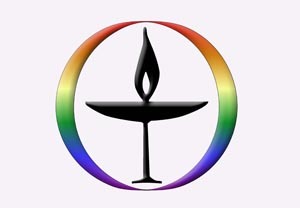 The first half of the mediation is silent; the second half conducted in the manner of Quaker meetings with individuals encouraged to speak into the silence. Selected readings from eminent teachers will also be presented. The mindfulness meditation group was formerly known as “Meditation in Nature” and until November 2015 met at the Gans Creek Wildlife Area once a month. Outdoor gatherings then moved to the new fire circle behind the church. Weekly mindfulness meditation sessions began in February 2016. For more information, contact Peter Holmes at 573-239-7789 or by email.